AVAILABLE WEIGHTS: 2lb 10oz & 2lb 11oz. Grade 5 English Willow - the entry level English willow bat in the Ganador range. Stylish, Embossed Blue & White Stickers. 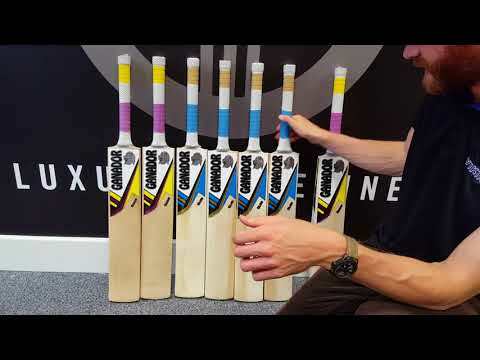 The Club Cricket Bat is the entry level English willow cricket bat from one of the most exciting emerging brands on the market, Ganador. Featuring a low middle and very thick edges (a minimum of 38mm), the Ganador Club Cricket Bat is tailor made for aggressive front foot players, and the low price makes it ideal as a back-up/net bat, or for tail enders and cricketers on a budget.